It works! My first payment to Hostgator was for a whopping one cent. Each following month you will be billed $9.95. Remember, Hostgator does NOT require a contract or require you to pay and certain quantity of months in advance. Iave researched a lot of the acheap hostinga companies, and while you can get your hosting for about $5 a month, you will need to pay for a year in advance. Iave also found that other hosting companies that do offer a month-to-month service will charge something called a aset up feea and it will cost you, on average, and additional $30 (yikes!). Funny thing is – none of these other acheap hostinga companies offer as much bandwidth as HostGator or they are missing things that they will end up charging extra for (things that come standard with Hostgator). Hostgator’s customer service is AWESOME!. I had a couple sites go down one night and I was completely unaware of it. Hostgator CALLED me AND emailed mea¦and then, they stuck with me while we fixed it and got my sites back online. For a non-techy person like mea¦ well, it was just plain WONDERFUL to have that kind of support! After you sign up for Hostgator, you will pay your first month. If you follow the exact directions I will give in a minute, your first payment to HostGator will be for .01 (one cent). Then your hosting account will be live. Each month, Hostgator will send you a bill and you go and pay it within their secure billing area. No worries about automatic deductions and you can choose how you pay each month (ie, one month with Paypal..maybe another with Visaa¦another back with PayPal, etc). The ### part will be unique numbers that are sequential (ie NS123 and NS124). From that point on, whenever you buy a domain name for a niche site, regardless of where you buy your domain name, you simply point the new domain name to those DNS addresses that belong to you. Then you can go into your Hostgator cpanel, do the aaddon domaina thing, and then install WordPress. Itas really very simple. 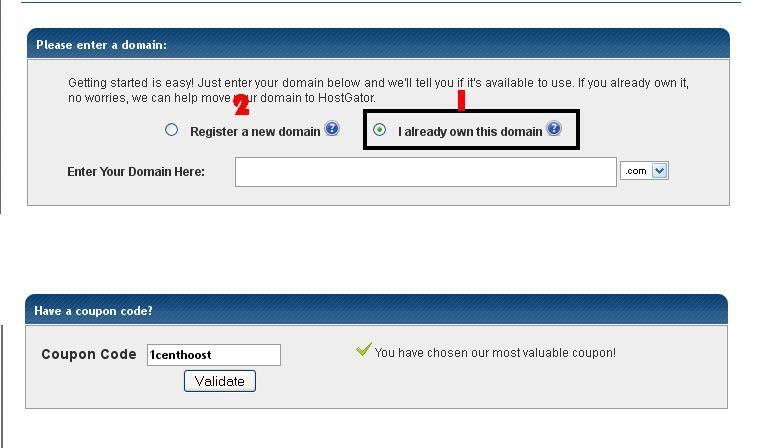 When you sign up for a new Hostgator account, you are given an option to either a) use a domain name you, already own, or b) buy a new domain name from HostGator. Hereas the thing – HostGator will charge you $15 for your first domain name, so be sure to get your domain name first somewhere else. I usually go here and get my .com domain names . 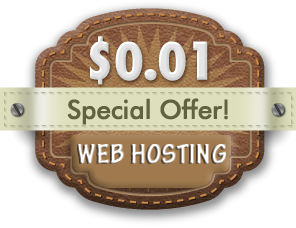 Then head over to HostGator and sign up using choice aaa (use an existing domain name). 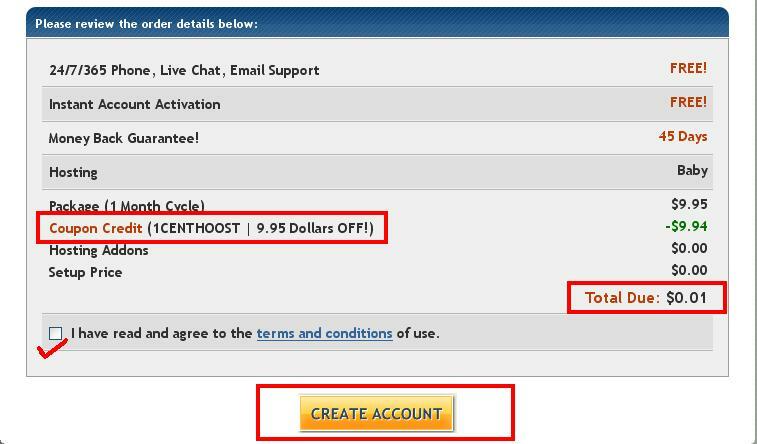 Follow the exact instructions below to get your HostGator 1 Cent Hosting . After your Hostgator hosting account is live, THEN go back to your where you bought your domain name and point the DNS (name servers) to YOUR Hostgator hosting account. 3 Your bill will then be reduced to $0.01. Finish thru the order wizard. You will not be paying anything in this process. Your account will be set up, and shortly after completing your order, you will receive an email telling you where to go pay your penny. Even if you are afraid that this wonat work, or maybe you did it wrong, or you simply donat believe me – you wonat be paying anything to find out =)Awesome, Isnat It? Seriously, right now – TODAY – you can start creating and owning your first niche site that will end up being YOUR powerful niche site network over time. And you can start, right now – TODAY – for a grand total investment of $4.96. Salehoo Review: Does It Really Work?